Consolidate our position in high standard quality services as the best hospital network facilities for medical tourism, offering to our international patients a secure, personalized, responsible, reliable and innovative service at affordable prices in the industry. 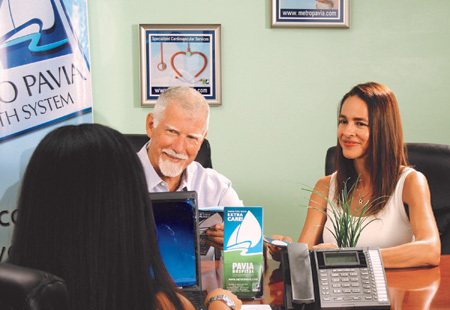 Offer to the patients from abroad who are looking for specialized health services, assistance in attractive medical alternatives, with high-quality professionals. Provide them with personalized services, hospitality, safe transportation, various pleasant lodging options at reasonable prices and protection of your privacy and property until they return to their place of residence.